We have a new gallery of the very first AS3 we ever restored up. We first got the bike back in 2005 and restored it using mostly NOS parts that we managed to get our hands on. Unfortunately we had to contend with what we had in some cases: the lacked a few of the small holders for the wires, the screws were a bit tarnished, just small details that we couldn’t do better back then. We revisited it last autumn and during the spring to improve the details. We used what we have learned since we started to make it better than ever. 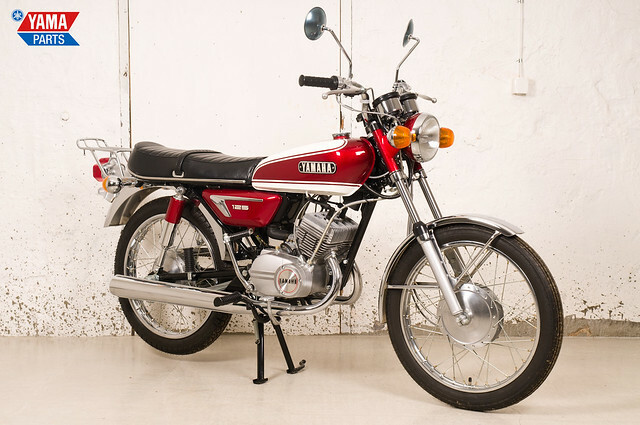 The pictures are in the museum section under Yamaha AS3 Red 1971, the same place the old pictures were before. If you want to compare the before and after result you can still find the old picture gallery here on flickr.